There are plenty of reasons to go green, but two recent studies have found out that investing in energy-efficient upgrade projects can boost a home’s resale value. One study found that prioritizing green labels, such as ENERGY STAR® and LEED, could increase resale values by an average of 9%. The other indicated that using high-efficiency HVAC systems and dual pane windows led to an average price increase of 5.8%. How can you take advantage of the growing demand for energy-efficient homes? Kroll Construction, the most trusted expert in window replacement in Michigan, can provide the solutions. Energy costs for households continue to rise each year. This is the reason many homeowners are choosing to invest in upgrade projects that can help reduce their monthly bills. By doing this, they can also improve the value of their home on the market. Recently, the Joint Center for Housing Studies of Harvard University found that energy-efficient upgrades remain the most popular remodeling project. In fact, as much as 84% of contractors interviewed said they had installed energy-efficient improvements in 2014. On the other hand, 20% of households indicated that at least one of their upgrade projects is for energy-saving purposes. These include installation of new siding and replacement windows in Michigan and other parts of the country. Siding Installation – We install top-quality vinyl siding. This material demonstrates high levels of durability, low-maintenance properties, and insulation, which can reduce energy costs. 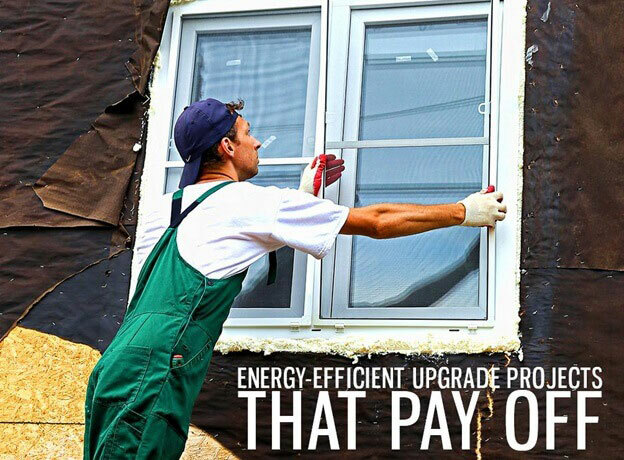 Window Replacement – Old, drafty windows mean higher energy bills. As one of the leading window companies in Michigan, we can install vinyl replacement windows that help lower your energy costs and improve interior comfort. Insulation – With proper attic and wall insulation, you can prevent energy from escaping through cracks and holes. Roof Replacement – We provide energy-efficient systems to help reduce your heating and cooling costs. If you’re looking to improve your home’s energy efficiency, Kroll Construction is the company you can trust. Apart from the projects mentioned above, we also install high-quality gutter systems and covers, as well as provide kitchen and bath remodeling. Learn more about our services by calling (888) 338-6340 today. You can also complete our form to schedule a FREE consultation with our experts. We’ll be ready to assist you.